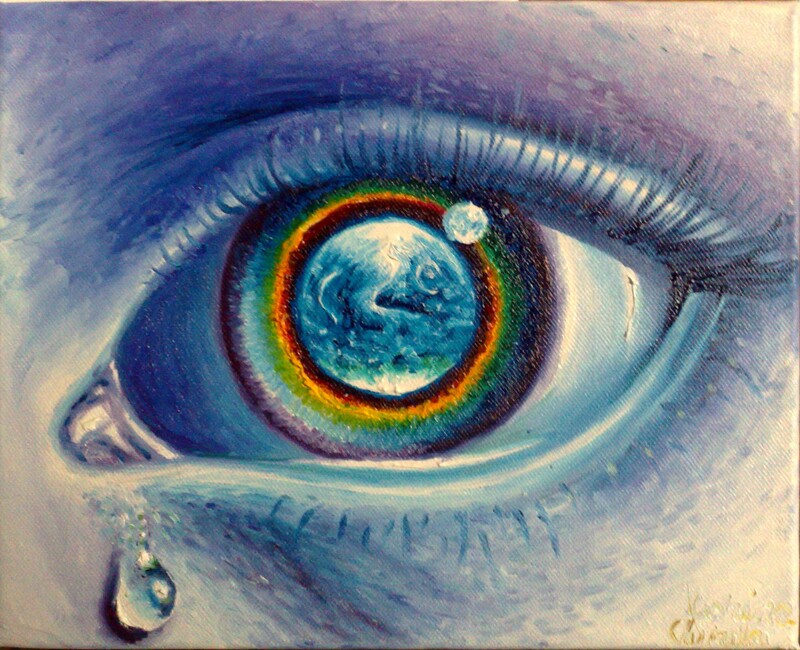 Posted in earth, fluorescent drawings, Oil on canvas paintings and tagged arts, creativity, culture, drawing, earth, earth day, ecology, eye, illustration, nature, painting, protecting the earth, watch the Earth. Bookmark the permalink. 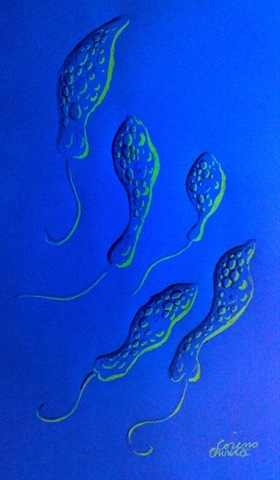 This is “Euglena dance”, my newest fluorescent drawing. Posted in fluorescent drawings and tagged euglena, euglena dance, euglena viridis, fluorescent drawing. Bookmark the permalink. 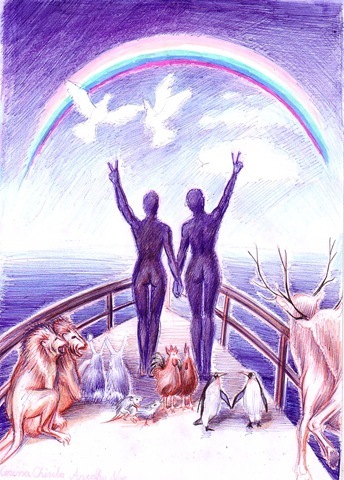 This is my drawing of Noah’s Ark at the end of the journey when the rainbow appeared on the shy. 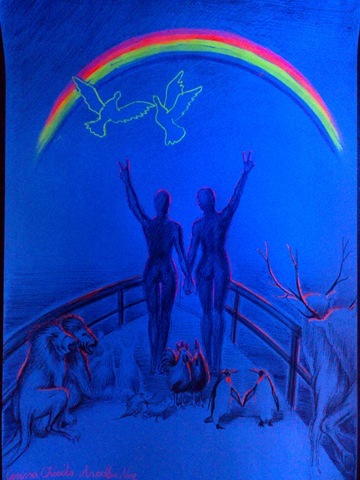 Posted in fluorescent drawings, rainbow and tagged end of the rainbow, fluorescent drawing, noah's ark, rainbow. Bookmark the permalink. 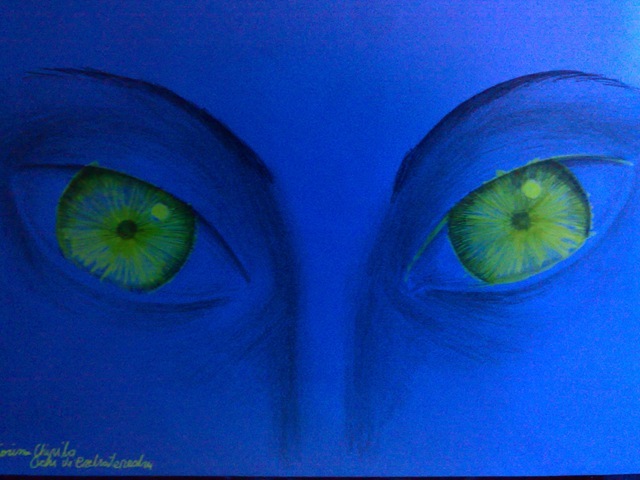 I’ve made this drawing of the eyes of an alien using different types of green, fluorescent and not fluorescent I’ve put it in blue light and this is how it looks like. Posted in alien, eyes, fluorescent drawings and tagged alien eyes, eyes, fluorescent drawing. Bookmark the permalink. 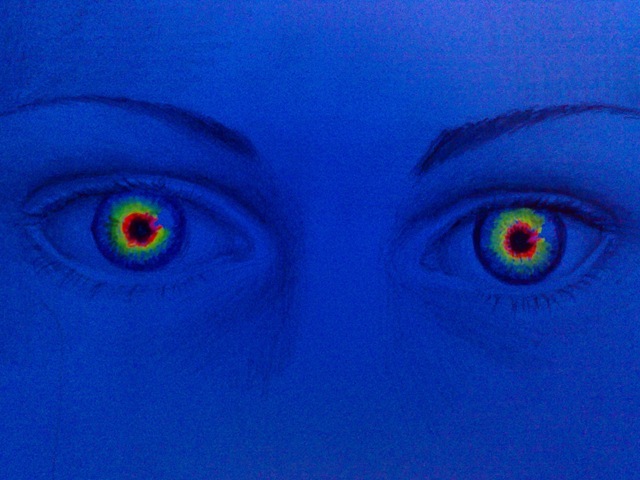 This is “Rainbow eyes”, a drawing I’ve made using florescent colors. 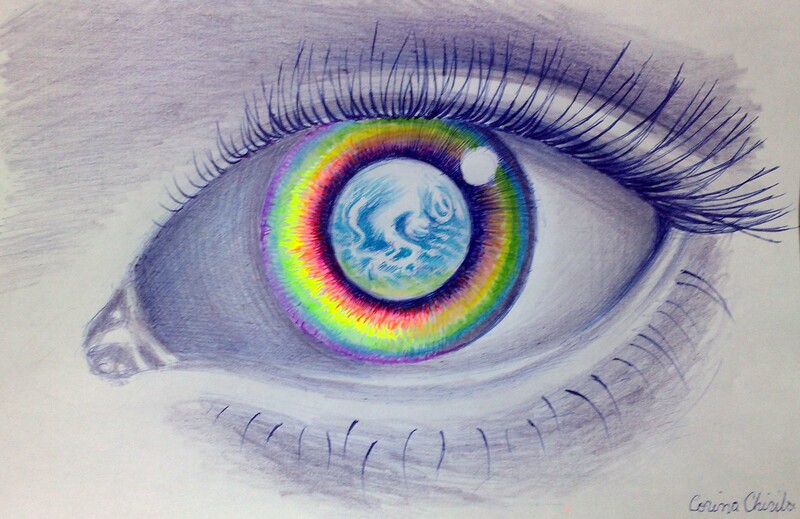 Posted in eyes, fluorescent drawings, rainbow and tagged eyes, rainbow, rainbow in your eyes. Bookmark the permalink. 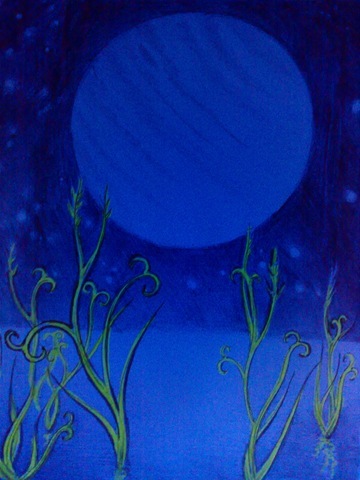 This is my drawing of another planet where primitive plants grow in shallow waters. 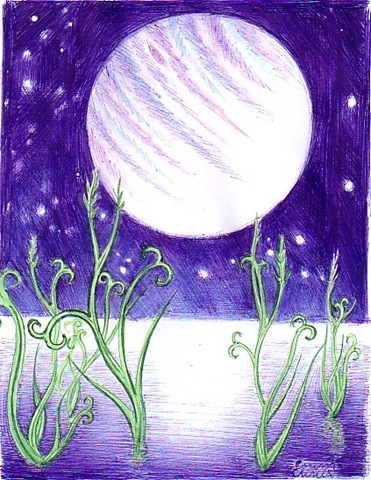 The planet is the moon of a Jupiter like gas giant planet. 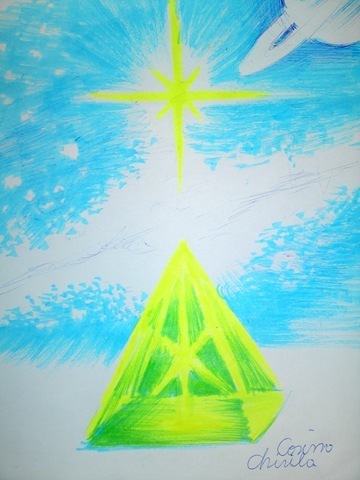 Posted in fluorescent drawings, llife in the universe, plants, space and tagged alien landscape, fluorescent drawing, life in the universe, life on another planet, plants, primitive plants. Bookmark the permalink.